Kay Yeager Coliseum Box Office Hours are Monday-Friday 10am-5pm and Saturdays 10am-2pm. Extended Hours may be available on event dates. Ray Clymer Exhibit Hall Business Hours are Monday-Friday 8am-5pm. General event parking is available adjacent to the Ray Clymer Exhibit Hall on the South along 5th Street and West along Burnett Street. There is additional parking adjacent to the Kay Yeager Coliseum on the Southeast near 5th & Lamar Streets and East side of the building. Parking is available at the J.S. Bridwell Agricultural Center on the West side along Burnett Street as well as the North side of the building. 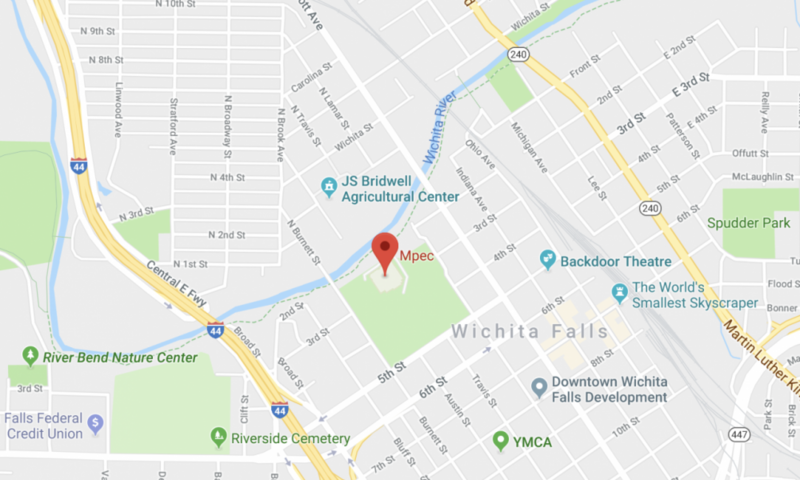 Parking for Memorial Auditorium is available on the East and West sides of 6th Street as well as along 7th Street. Strollers are allowed at all venues. Designated stroller parking may be available at the Kay Yeager Coliseum and Memorial Auditorium. No guns are allowed at any of the venues without a legal license to carry. Other weapons or knives are not permitted at any of the venues. Patrons are discouraged from wearing “Security” style apparel, including shirts and/or hats marked “Security” to events. Patrons may be asked to remove or change clothing at the discretion of event staff. In the event of show cancellations, refunds will only be issued for the price of the ticket. Service fees will not be refunded. 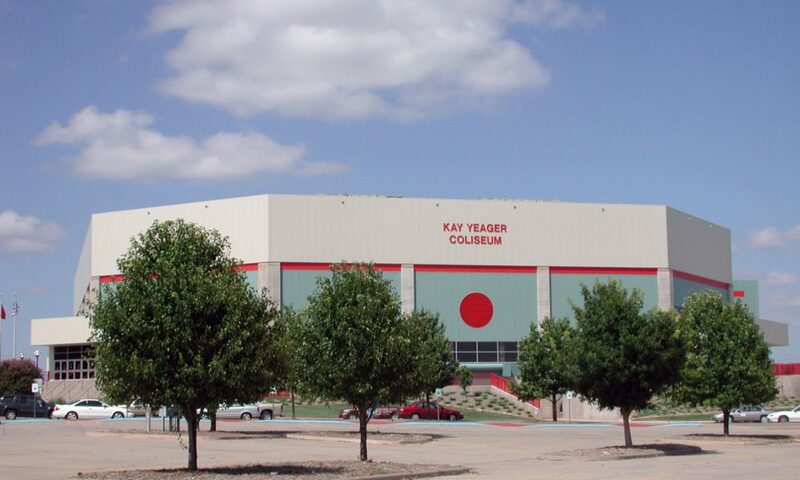 Kay Yeager Coliseum, Ray Clymer Exhibit Hall, J.S. Bridwell Agricultural Center and Memorial Auditorium are all Handicap Accessible. Handicap Accessible Seating is available at all venues. Please mention Handicap Accessible Seating needs when making ticket purchases at the Box Office. Handicap Accessible Parking is available at the Kay Yeager Coliseum in front of the main Box Office at 5th Street & Lamar Avenue. Handicap Accessible Parking is available at the Ray Clymer Exhibit Hall in the South parking lot in front of the building. Handicap Accessible Parking is available at the J.S. Bridwell Ag Center on the West side near the building. Handicap Accessible Parking is available at Memorial Auditorium on 7th Street. Additional Handicap Parking is available in the 6th Street parking lot behind the building.